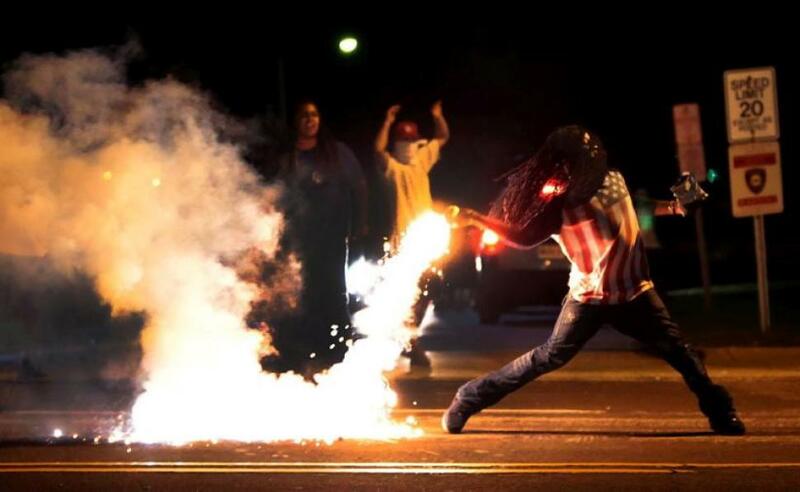 Authorities in Ferguson – Expect Resistance! The state has a monopoly on violence. The grand jury’s decision not to indict Deron Wilson, the police officer that killed Michael Brown, further proves what many of us have known for too long: that the state is the only legitimate source of violence in our society. It validates its impunity through a judicial system of kangaroo courts that protect the rich and oppress the poor. Domestically it imprisons black and brown people at astronomical levels via the prison industrial complex and literally obliterates entire cities internationally. And they expect us to listen to them when they demand we remain peaceful? Haven’t we remained peaceful long enough? We marched one million strong in opposition to the invasion of Iraq (again) in March, 2003. We peacefully marched to demand justice for Eric Garner, Sean Bell, Amadou Diallo, Ramarley Graham and Michael Brown. To no avail. While police were stopping and frisking black and brown people in 2012 to the tune of 500,000 in 2012 in NYC not one banker from any of the major financial institutions that caused the financial crisis was put in jail. Many of us knew when Robert McCulloch, the prosecutor that presented the case to the grand jury, was selected to present the case that the decision was already made. His family ties to law enforcement guaranteed his partiality and commitment to protect the interests of law enforcement. We’ve had enough! When Eric Garner was brutally choked to death on camera in Staten Island, NY, there was discontent. People marched in protest to his death. But after a few news cycles his death was no where to be seen in the news despite how blatant the evidence of his murder was. In Ferguson the protesters responded with rage and that rage generated global attention and placed Civil Rights in the age of Obama front and center. Michael Brown’s death became front page news around the world. It also brought global attention to the fact that the Department of Defense is supplying local law enforcement with weapons and vehicles that are used in war, not local policing. What caused the international light to shine on Missouri ? It was the extremely brave activists that defied authorities and refused to do what they were told. Ferguson will be remembered not because people did exactly what the authorities forced them to do but because they defiantly protected the spirit of Michael Brown. His death will not be remembered for the quiet lines of people cowering to the police, but by people at the barricades that fought back to the oppression that the hangs so heavily in the air in America.